Yokogawa’s commitment to innovation in LNG projects worldwide dates back to the 1970s. 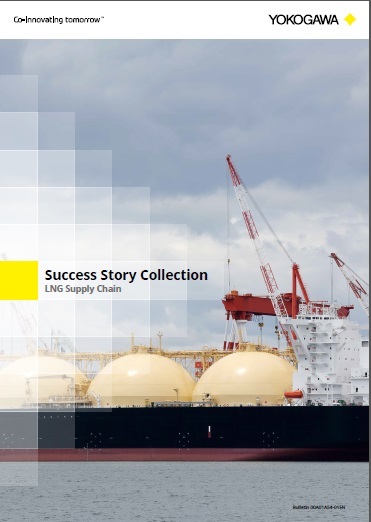 With its extensive experience and comprehensive portfolio of solutions, Yokogawa has what it takes to achieve operational excellence in the LNG supply chain. 36% of liquefaction plants use Yokogawa's DCS. 39% of liquefaction plants employ Yokogawa's APC solutions. 66 carriers use Yokogawa's DCS. Yokogawa’s industrial experience provides unique solutions to meet the needs of the marine industry. For several decades, Yokogawa has been delivering IAS to a number of LNG carriers worldwide. Long-term partnership with Yokogawa provides the highest total value of ownership with full lifecycle support. With over 45 years of LNG project experience, Yokogawa has significant engineering expertise. 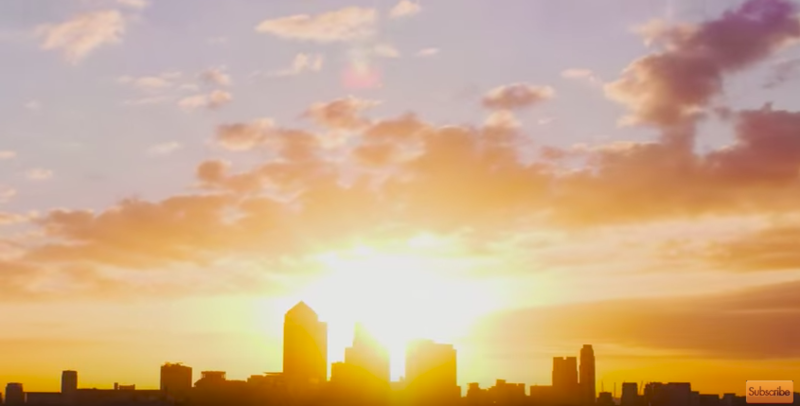 We know how to replace control systems without interrupting city gas production, and can ensure a seamless migration path and supply a full range of implementation services. The scope of investment has expanded beyond conventional megaprojects to include small-scale projects and offshore facilities. For such undertakings, new and proven technologies must be integrated and improvements must be attained in health, safety, and environment (HSE) performance. With its in-depth expertise in the LNG supply chain, Yokogawa can propose and implement new solutions for a wider range of HSE issues. Yokogawa has solutions that enable gapless LNG leak detection monitoring and the monitoring and detection of intrusions at an early stage. Yokogawa can also assist with the integration of proven onshore technologies on floating storage and regasification units (FSRUs), floating LNG (FLNG) facilities, and LNG vessels. Yokogawa DTSX3000 and DTSX200 enable gapless LNG leak detection monitoring. The main challenge in the LNG supply chain is responding quickly and accurately to shifts in demand. This is required both by regulations and contractual commitments to customers. Before any LNG facility enters commercial operation, it is important to identify essential plant KPIs and establish standardized procedures for manual intervention. Loading, unloading, cool-down, refrigerant cycle (RC) makeup, and other non-routine operations can all have a major impact on the stability of an LNG facility. Yokogawa solutions based on our long experience in the LNG field can help you smoothly execute these major operations. Exapilot, an intuitive and easy to use navigation tool, provides operators with the cues they need to smoothly execute non-routine operations. Yokogawa’s Exaquantum plant information management system can acquire process data from a Distributed Control System (DCS), transform it to essential KPIs and execute automated instantaneous reporting on KPIs to DCS as necessary. The single integrated control and safety system (ICSS) database simplifies engineering. With graphics, alarm windows, and system status screens all having the same look and feel, operation is also easier. High availability of the Safety Integrity Level 1-4 (SIL1-4) certified ProSafe Safety Instrumented System enables truly integrated solutions. Production management solutions provide real-time visibility of the performance of all assets to facilitate intelligent decision-making. Gas from different fields often varies in composition, and this variance is expected to increase over the next few decades. Consequently, receiving terminals will need to apply best practices and the impact of such variation will have to be dealt with throughout the plant lifecycle. Yokogawa’s Advanced Process Control (APC) solutions play an indispensable role in the liquefaction and regasification processes. In the liquefaction process, our APC solutions optimize the interaction between the heat exchanger (HE) and the refrigerant cycle (RC) for efficient heat-stress-free operation. In regasification, Yokogawa's APC solutions allow optimal allocation and nomination based on the Wobbe index value and the boil-off gas (BOG) volume and required time, thereby preventing the production of off-specification gas. In addition, full emulation by an Integrated Control and Safety System (ICSS) and high-fidelity process simulation (Operator Training System: OTS) are necessary not only to measure the effect of changing operation, but also to contribute to HSE overall evaluation. 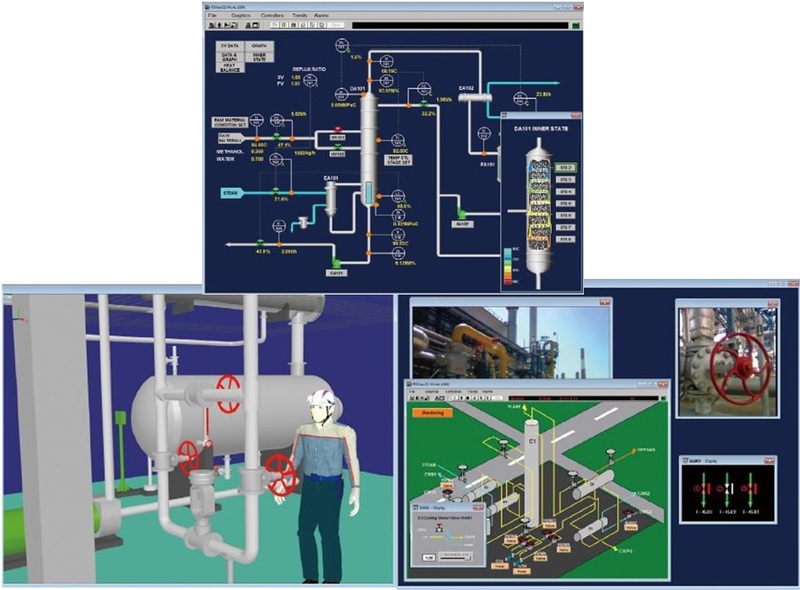 OmegaLand provides a virtual plant simulation environment for training operators of integrated DCSs and safety systems. OmegaLand is the product of Omega Simulation Co., Ltd., one of Yokogawa's subsidiaries. Yokogawa can optimize interactive influences between HE and RC, and achieve efficient heat-stress-free operation. High availability of the ProSafe safety management system enables truly integrated solutions with Safety Integrity Level 1-4 (SIL1-4) certification. Regarding connectivity with upstream processes including wellheads and pipelines, we have achieved connectivity between ProSafe-RS, STARDOM, and the FAST/TOOLS SCADA system over a single network that is based on the Vnet/IP real-time control bus and dedicated to upstream processes. As a result, FAST/TOOLS can now monitor both the STARDOM and ProSafe-RS systems in an integrated manner. “Install and Forget” digital field instruments deliver stable and accurate process measurement with low-cost installation, near zero maintenance and intelligent self-diagnostics. As a true leader in fieldbus technology, Yokogawa brought the world’s first FOUNDATION Fieldbus™ enabled device to market and has since developed a complete range of FOUNDATION Fieldbus™ instrumentation. Highly responsive analytical systems ensure tight quality control by enhancing the accuracy of British Thermal Unit (BTU) measurement and optimizing boiler combustion. STARDOM performs American Gas Association (AGA)-compliant calculation of standard gas volume. OmegaLand provides a virtual plant simulation environment for training operators of integrated distributed control systems (DCSs) and safety systems. 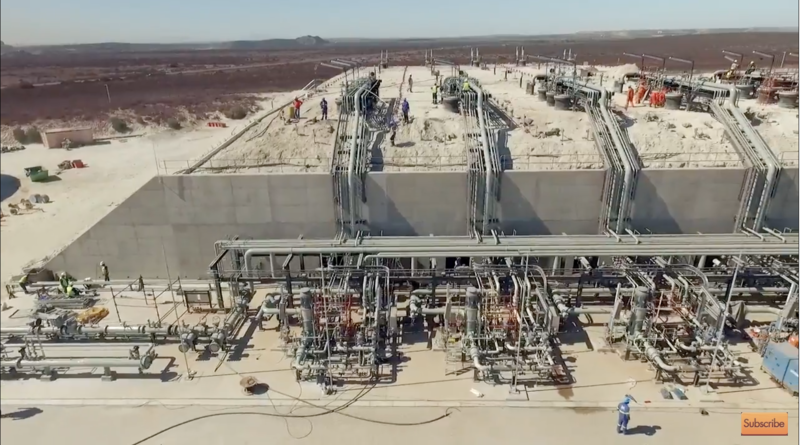 Advanced Process Control (APC) can increase liquefaction plant throughput by 0.5–2% and reduce energy costs by 1–3%. Plant Resource Manager (PRM) makes predictive maintenance easy. Early detection of system and device malfunctions helps prevent catastrophic failures. CENTUM CS 3000 ensures safe and reliable operation of one of the world's most advanced LNG carriers. Yokogawa successfully installed a CENTUM CS 3000 integrated control automation system(ICAS). MISC could be ensured of better information visibility, performance foresight, and operational agility. Yokogawa CS 3000 system has proven in both the Tenaga and the Seri Class LNG carriers that their hardware is very reliable with very less problem. A phased upgrade approach from CENTUM CS to CENTUM VP was planned to meet tight LNG carriers schedules. The collaboration using CENTUM VP and APC provides optimization of gas liquefaction operation. Operator training system for the critical LNG processes had been built to reduce human errors and achieve operational excellence. The high fidelity modeling of LNG liquefaction process closely matches the behavior and operational environment of the actual plant. 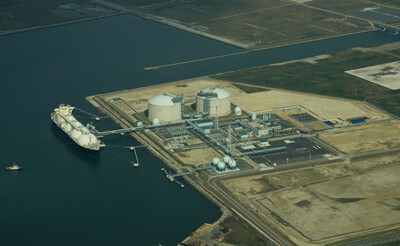 Hibiki LNG Terminal is supplying natural gas to a broad area of northern Kyushu. CENTUM VP and FA-M3V provide a centralized monitoring environment and contribute to safe and stable operation. Platt Beltz and Greg Hallauer, Yokogawa, USA, discuss how simulation can improve operator training in LNG operations.